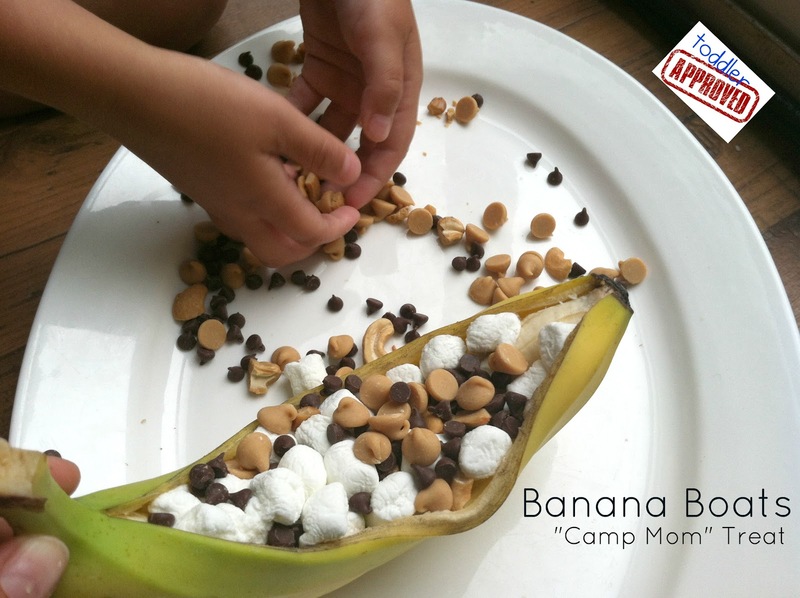 With the first session's theme of Camp Mom being Classic Camp Crafts - we couldn't resist making a "classic" (and favorite) campfire treat . 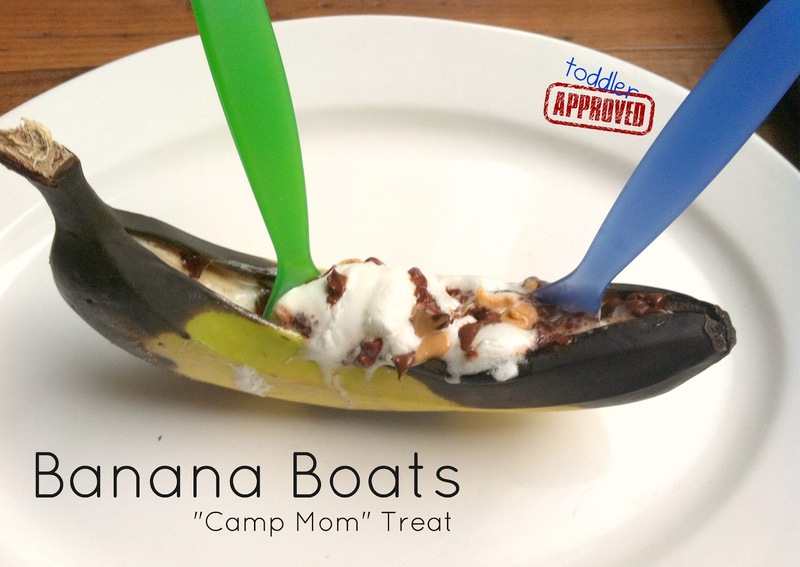 . . banana boats. 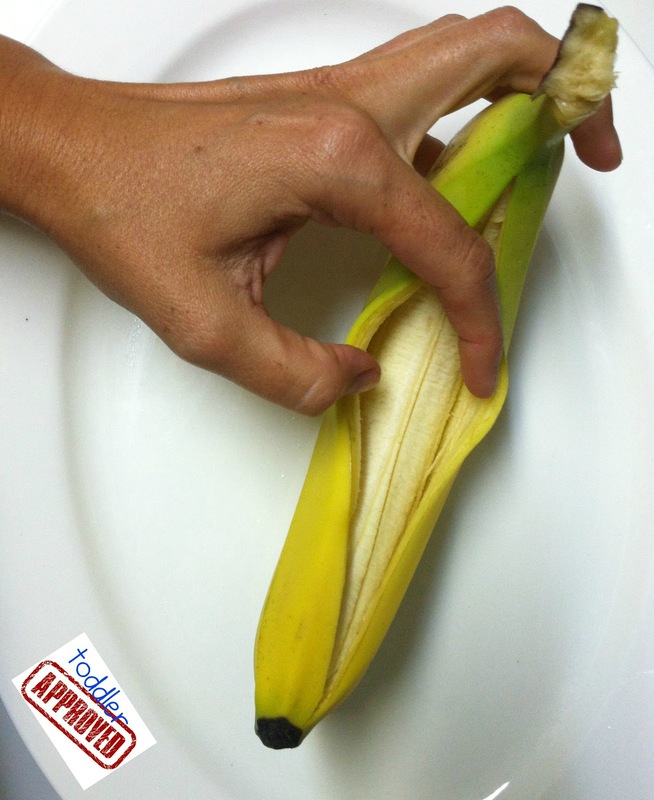 Cut a slit along the banana (just to cut open peel and not too much of the banana inside). Shovel as much "stuffing" as you can between the peel and banana. Wrap tightly in a piece of foil. Place on coals or in oven preheated to 350 degrees until chips melt and banana is softened (be careful when removing from fire or oven as the foil gets pretty hot). 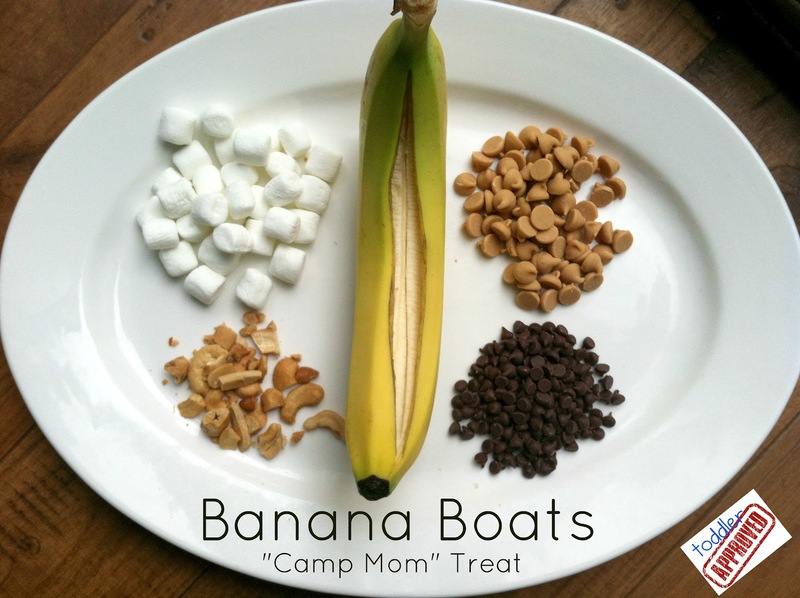 Unwrap banana boat, add a couple of spoons and share! These look so yummy! I can't wait to try this! Thanks for the great video. I will definitely use these with my boys! Thanks for the great video. I'll try this with my boys!